Whether you’re looking for a family day out with the kids or the perfect date-night spot, High 5 is Austin’s go-to fun destination. 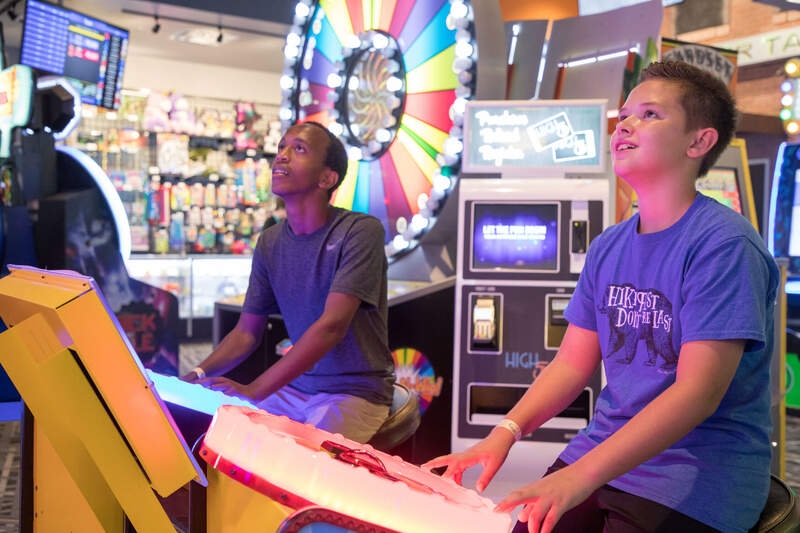 Our expansive Lakeway location features state-of-the-art bowling lanes, arcade, axe throwing, laser tag, virtual reality and more! Knock down 10 pins on one of our state-of-the-art Brunswick bowling lanes. Our Lakeway location features 16 lanes on the main floor and 12 lounge lanes in our Up Top area (21+ after 9pm) with a more upscale feel. Leagues at our Lakeway location are also available for social to serious players throughout the week. 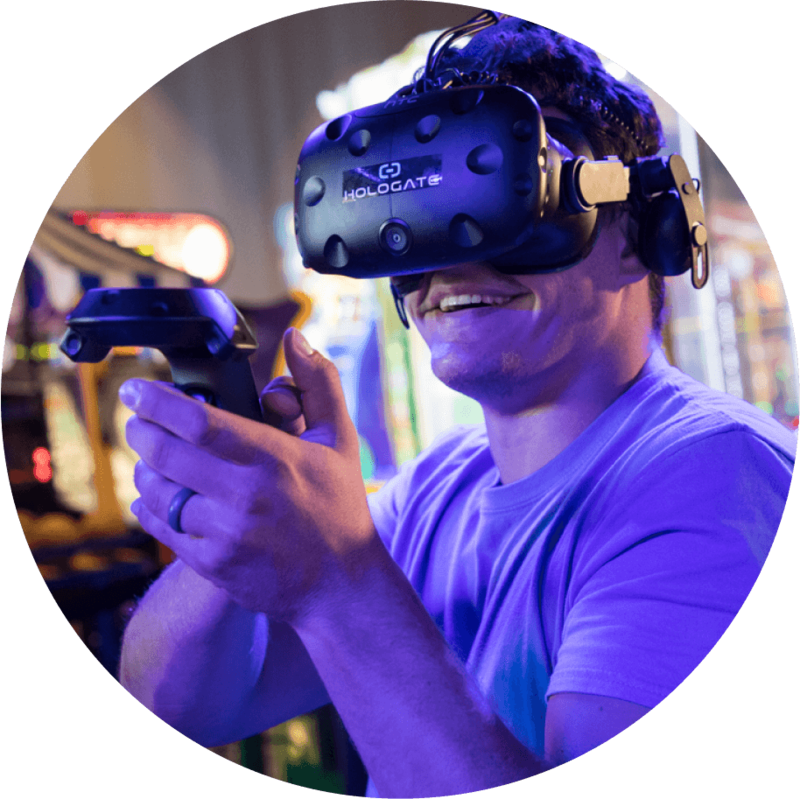 Our Lakeway location features Hologate, the newest VR rage across the country – and High 5 Lakeway is the first to get Hologate in the Central & South Texas! Play together as a team or challenge your friends in a PvP competitive match. Our exclusive multiplayer content for arcade and e-sports is easy to learn. The modular components and future proof upgrade options keep the platform state of the art! Channel your inner lumberjack with this fun, safe and addictive experience! 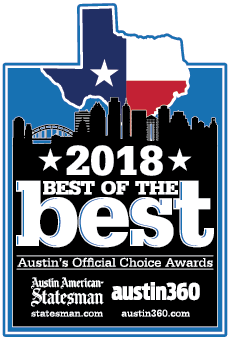 High 5 is proud to be one of the first certified axe throwing destinations in the Greater Austin Area. Lakeway features 4 enclosed axe throwing bays with a certified axe instructor guiding participants at all times. This experience is 18+ and is perfect for a night out with friends or a team building activity with coworkers. Grab your friends and join our new axe throwing league at our Lakeway location! League starts Wednesday, March 20, 2019 7:00pm to 9:30pm. League Fees: $129.99 (due1st night of league) Price includes your High 5 Axe hat! No experience or equipment needed, we will teach you how to throw! Simply show up. Our vibrant abandoned Austin warehouse arena features multiple floors outfitted with towers, ramps, targets, bases, and a few surprises. Score points while firing your futuristic phasor at your opponents, bases, and targets. 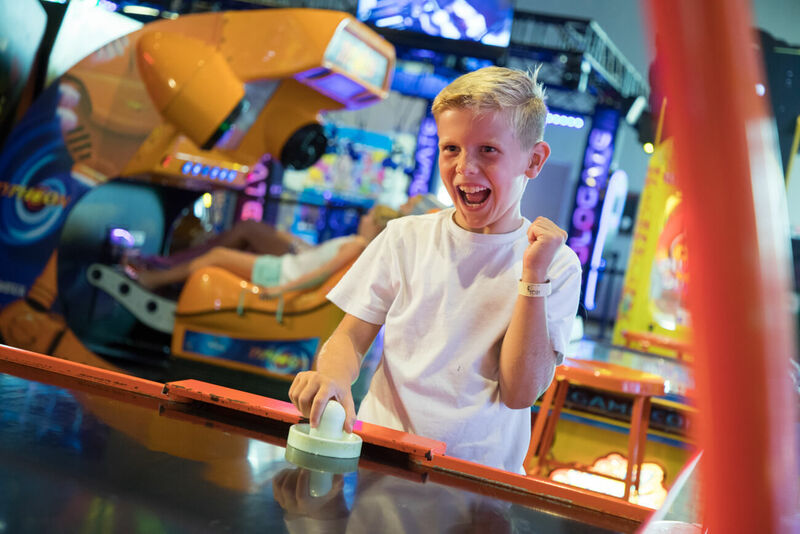 Let loose and have some fun in our interactive game area. From tried and true classics to never-before-seen interactive wonders, High 5 is sure to have something to suit your tastes. Earn points using your High 5 Player Card, and redeem points for terrific prizes at our High 5 Points Redemption Store! Keep using the same Players Card on each visit, once you have an accumulative spend of $400 on one Players Card, turn it in to a VIP Card and play for the lowest price on every game, every day! Pro Tip-use the same Player Card to pay for all your purchases at High 5 and accumulate your $400 spend faster. Players Card are accepted for Bowling, Laser Tag, Food & Beverage purchases as well as arcade game play.